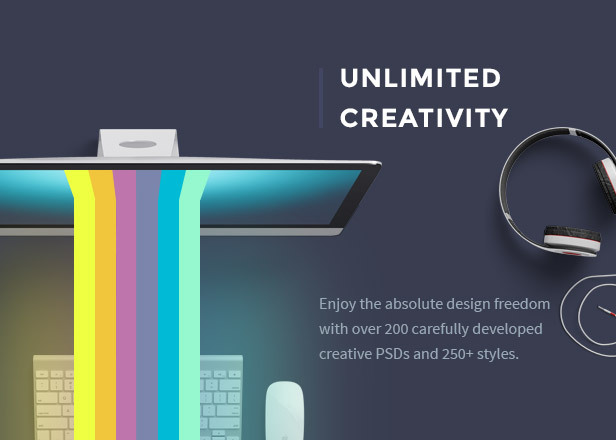 TheGem PSD is a creative multi-purpose design package of PSD templates made for the huge variety of design & web projects. It is perfect for building business & corporate websites of any purpose, creative portfolios & blogs, attractive online shops and much more. 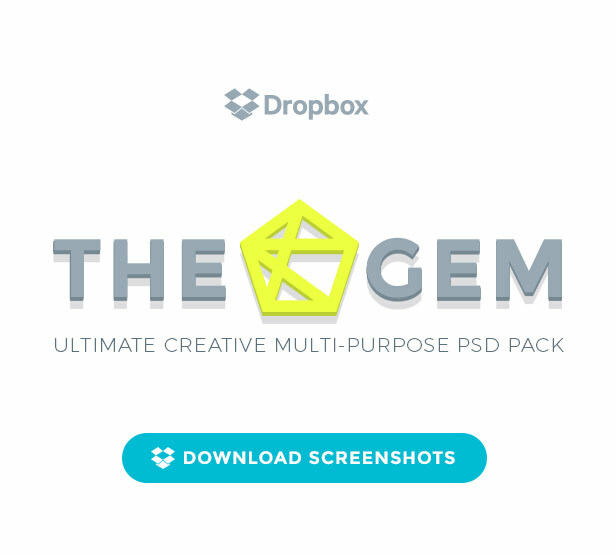 TheGem was designed by the best designers of Behance community. 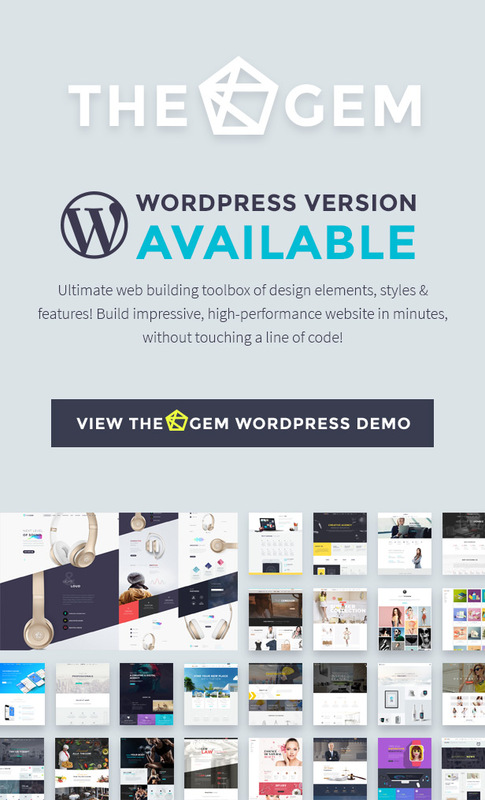 Equipped with over 200 awesome PSD templates, carefully developed and prepared for quick & effective project implementation, TheGem guarantees your project super fresh look, meeting all coming trends in UI & UX design of 2017. 5 average based on 10 ratings.